For all the talk about the elegance of the iPad, the device has one glaring problem: Your fingers. They’re — forgive our bluntness here — fat. Even the slenderest ones are too fat to poke around a touchscreen for important precision work like, say, slingshotting angry birds. Where were your priorities, Jony Ive? 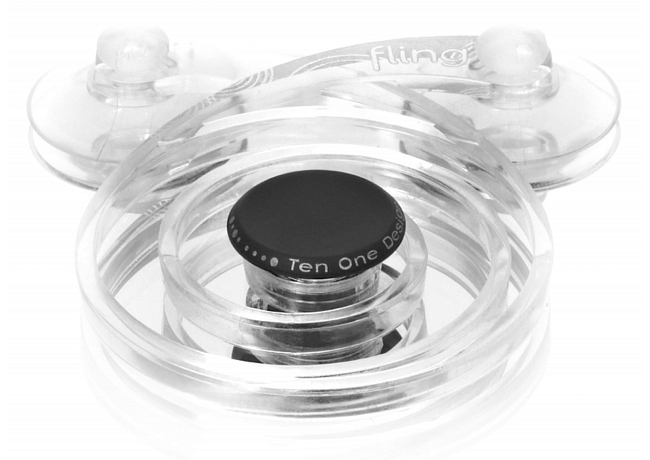 So New Jersey-based Ten One Design created Fling, a controller that uses invisible suction cups to convert virtual joypad-enabled iPad games to the analog world. Doubtless, Apple zealots everywhere are shouting “heresy!” this being seen as some sort of adulteration of the purity of the touchscreen. Sure, OK. But if you’re dead-serious about acing Meteor Blitz (or just sucking less), some sort of tactile device that gives you more control over the game makes a lot of sense. And Fling’s design is damned clever. 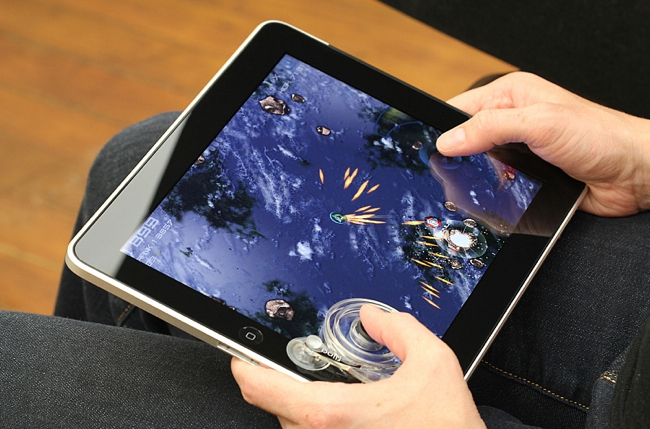 How it works: Switch on the game, place the central controller over the virtual joystick and stick the two suction cups onto your iPad screen. (They’re transparent so they don’t botch your view.) Then, with your thumb, slingshot away. It just like using an NES D-pad, but without the bulk and wires. Apple purists might complain about carrying around extra gear. Consider this, though: Fling is small enough to fit in your pocket like a pair of headphones. A bonus: The thing is actually nice-looking. Dare we say Ive himself might approve? Fling costs $38 for a pair. Preorder it here.